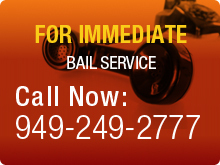 No matter where you are from; if you are arrested in Newport Beach you will need a local bail bondsman. Our agents are ready to get you and yours out immediately. To locate your loved one or to find out what crimes they have been charged with, please call us at 949-249-2777 or fill out the “Find an Inmate” form, below. Use the form below to submit a search request for an inmate who may be located in a local jail.